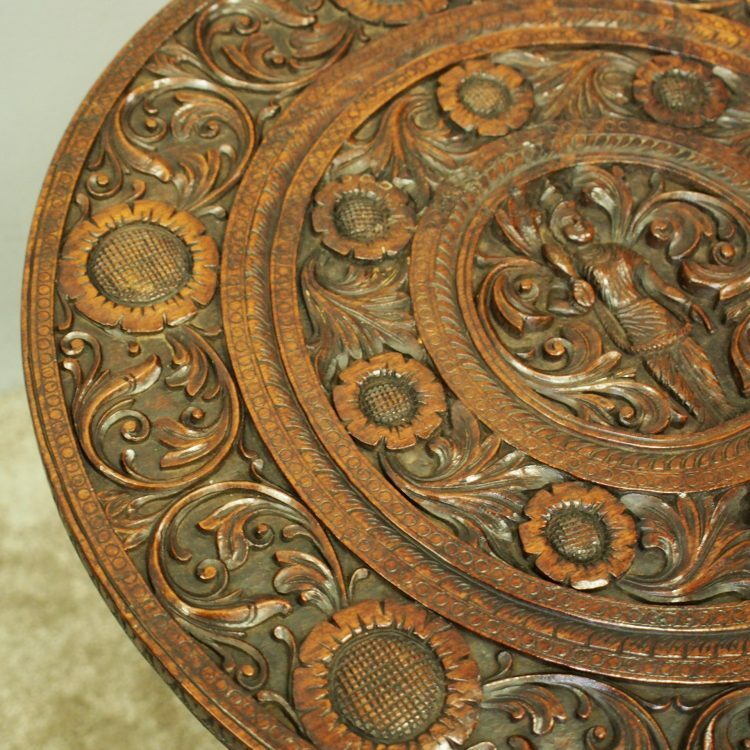 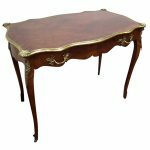 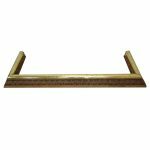 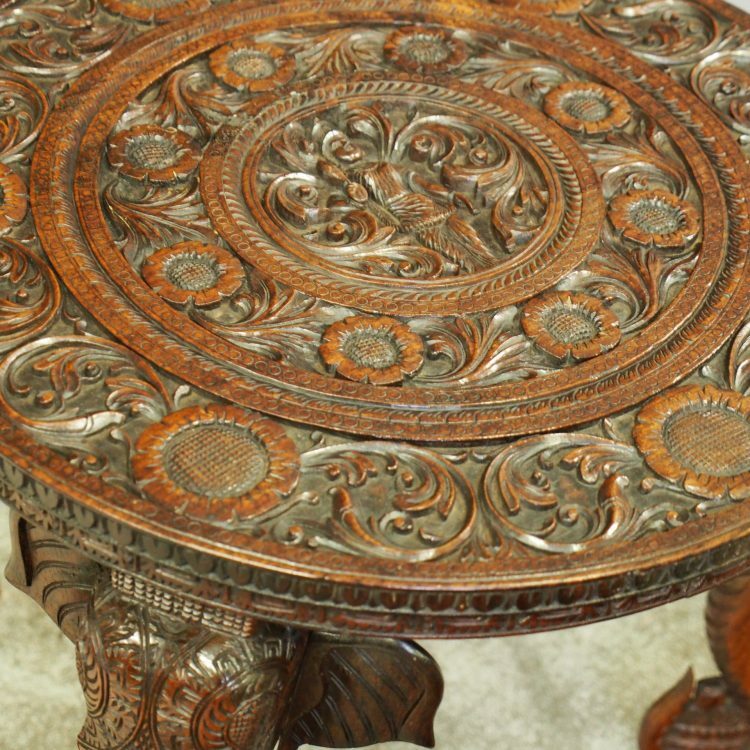 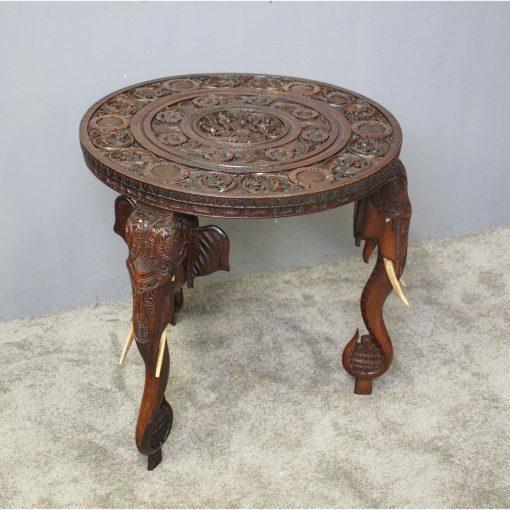 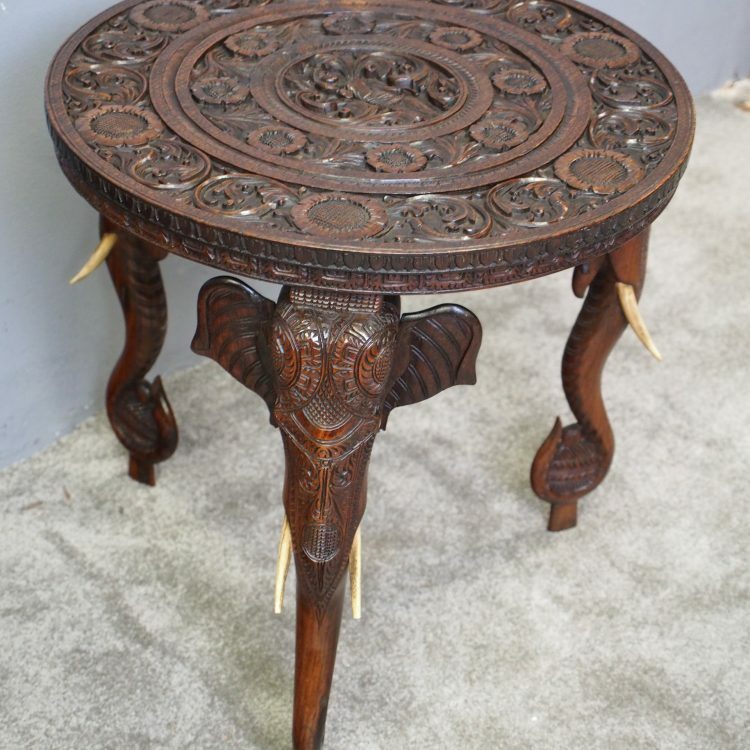 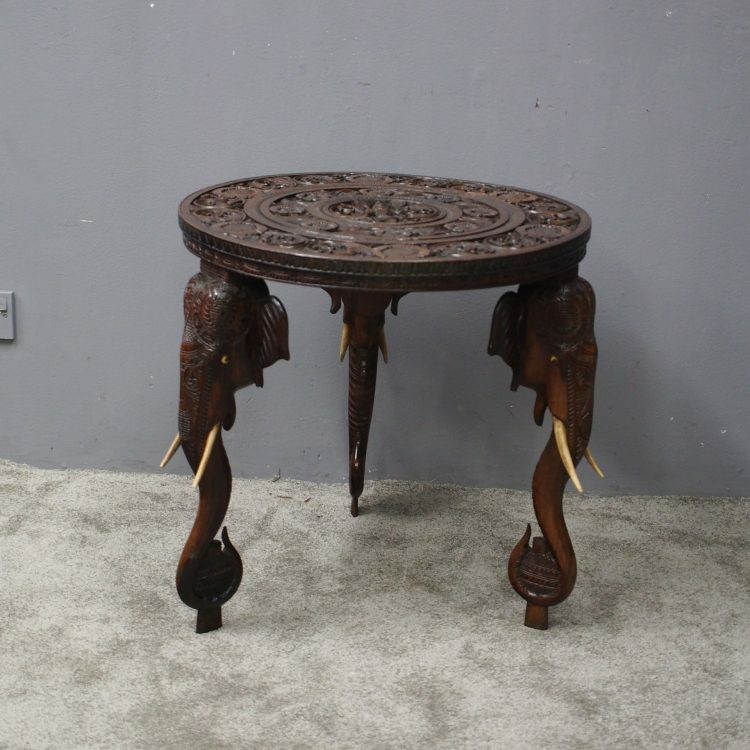 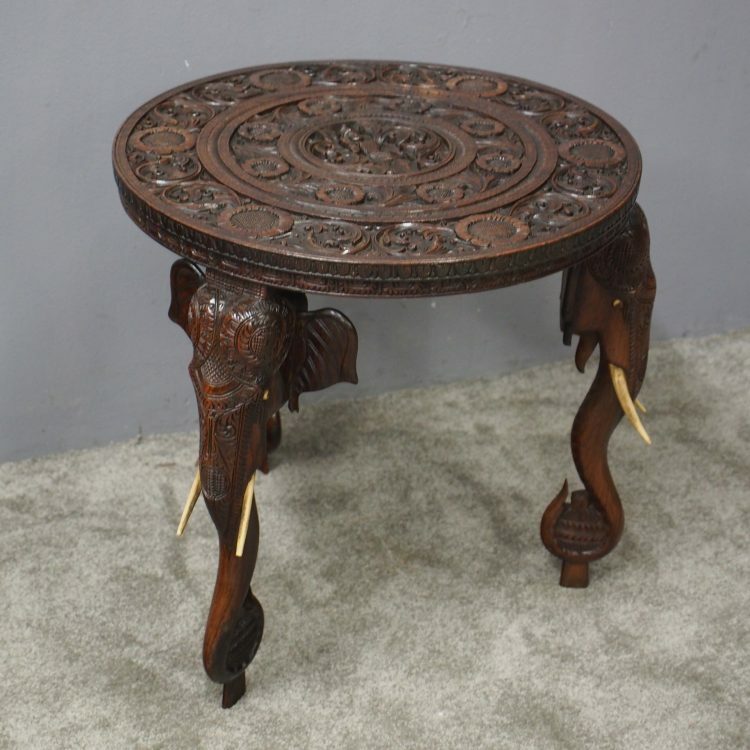 Circa 1900, tropical hardwood Anglo-Indian occasional table. 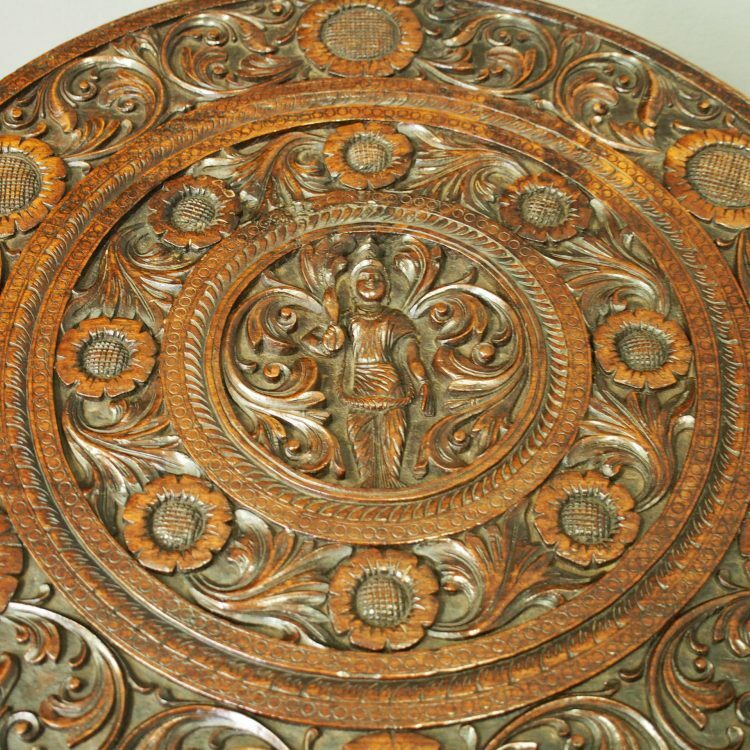 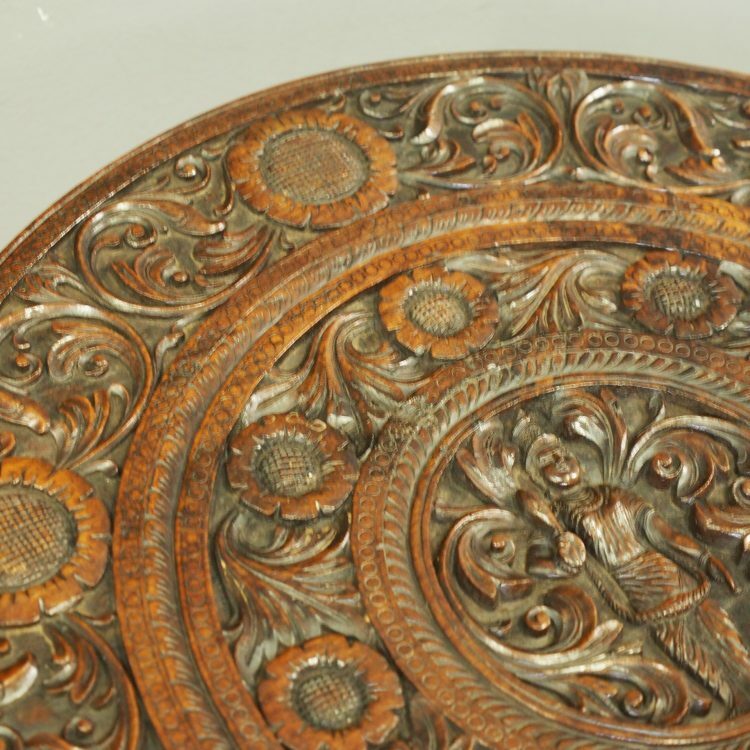 All profusely carved, the top has a foliate design around a central ring featuring a deity or goddess. 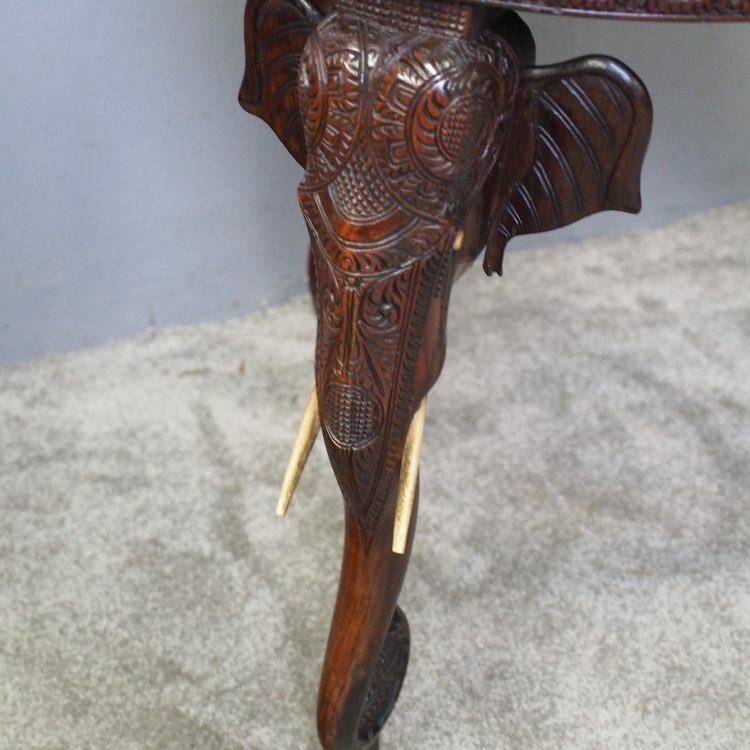 The fore-edge of the table is carved, and the legs are elephant heads adorned with bone eyes, tusks and finishing on a raised foot.